. Talking about the power life of the device, which is mostly decided by battery capacity, it packs 1800 mAh which is just above average compared to 1626.8478985991 mAh of other smartphones released in 2015. 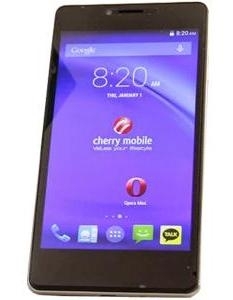 The Cherry Mobile Flare S3 OCTA is backed by Octa Core on a chip. Its CPU is clocked at 1.4 GHz, which is significantly faster than an average smartphone processor. The Cherry Mobile Flare S3 OCTA packs a 13 megapixel camera on the back, which can guarantee images of really good quality. Most basic version of the Cherry Mobile Flare S3 OCTA comes with 8 GB of built-in storage. allowing just a modest amount to operate system and a bit music, pictures or video. Good news is that it is easy and cheap to expand the device's storage by as much as %0% %1% with a microSD card. What is the price of Cherry Mobile Flare S3 OCTA? What is Cherry Mobile Flare S3 OCTA's memory capacity? What camera resolutions does Cherry Mobile Flare S3 OCTA feature? What is the display size of Cherry Mobile Flare S3 OCTA? How large is Cherry Mobile Flare S3 OCTA battery life?